PrestaShop is a free, open source e-commerce solution written in the PHP programming language with support for the MySQL database management system. PrestaShop started in 2005 as a student project and quickly evolved as one of the biggest open source shopping cart builders around the community. PrestaShop has comprehensive product features for small, medium or large ecommerce stores which are 100% free. PrestaShop supports multi-store and localization by default. It supports almost all payment gateways and shipping methods. PrestaShop provides template based framework hence customization is highly powerful and easier. PrestaShop signs with a big community to provide add-ons hence it can be extended to anything you need. Just let us know your requirement and our team can setup the online store for you. It may be a single store, multi-store, multi-lingual or multi-vendor based we can get it done perfectly for you and you just start selling right away. Our Custom PrestaShop plugin solution let’s you build anything you need around your PrestaShop online store. It may be a payment solution, shipping add-on, gallery, promotional needs or social integration, we develop all you need. Most payment providers are already built-in and there are number of plugins for other 3rd parties. If still your payment provider is not in list we can integrate using their API. We can build a custom PrestaShop payment module for you. An PrestaShop custom theme can also add new flexibility, better performance and visibility, along with unique content, features and functionality. We can develop a custom theme for your PrestaShop site that can increase sales, improve brand value and increase search ranking for your site. We provide best SEO solutions over your PrestaShop web store. We set your store SEO ready that can be indexed easily by search engines. With our advanced SEO solutions we provide you ways to create custom URLs, titles, descriptions, H1 and all that helps for best search engine visibility. Our best techniques over caching implementation help your site load faster and faster. We implement both server level caching and client level. We make sure every object from static pages; PHP code and other dynamic pages are cached and delivered faster. However our best techniques help you update prices and other dynamic objects keep updated but still keeping them under cached blocks. 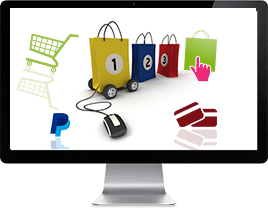 If you are with old model web shop framework or a custom built that is hard to use or hard to promote your sales and you now want to go with OpenCart platform, leave out your worries. Our Magento migration service can help you do it without any downtime for you. We just not migrate your store where we get it to advance level. Do you have any issues/bugs on your PrestaShop site or you want to alter some existing functionality let’s do it for you. Our OpenCart developers with deep knowledge on this framework can get it done for you. Our maintenance module covers to all clients that might have developed the web shop using us or with other company. We provide 24/7 support and optimized maintenance module hence you can concentrate on your core part of business.